Exactly twenty years ago, Hong Kong’s sovereignty was handed over to China. During that period, Hong Kong has accumulated stories worth telling; stories full of history and lessons within. The multicultural hub bustling with possibility and promise has become a centre for creativity and a source of inspiration not only for those on the mainland. But while Hong Kong seems to live a life of its own, the question remains – what conclusions can be drawn from a city that faces daily contradictions? The riches of commerce amongst the shanty roof towns, the mango trees between industrial roundabouts and art facing commercial requirements – these are the riddles and untold stories the Hong Kong Series seeks to explore. Through probing fiction and inquisitive non-fiction essays on politics, art, society, architecture and the economy, this series shines a light on the city’s deepest changes. From award-winning writers to experts in the field, the Hong Kong Series brings together authors from all disciplines to enlighten and educate those already familiar with Hong Kong’s complexities, as well as those who are curious about the course of tomorrow. Hong Kong has the once in a generation opportunity to assert itself as the creative and cultural hub of Asia, and to rival the established centres of New York and London. In providing an angle unique to the city, Hong Kong could play a pivotal role beyond the market in redefining the concept of ‘global’. But, is it ready to take on the challenge? 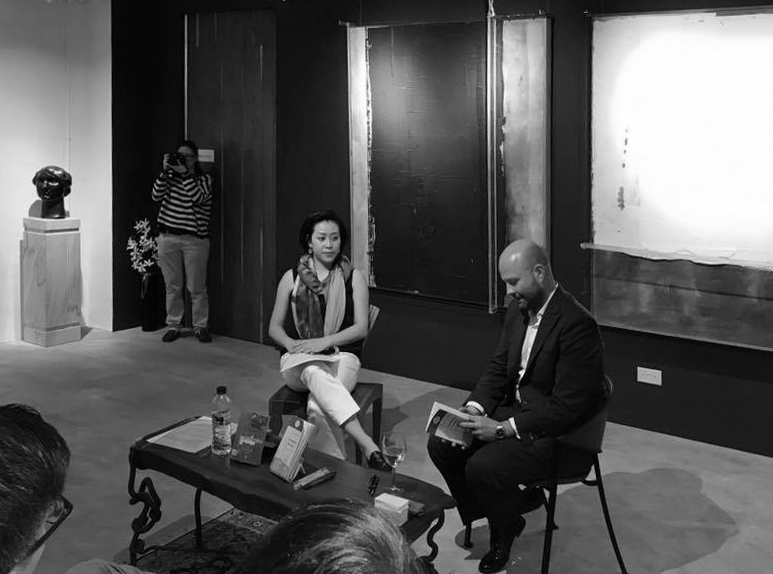 Magnus Renfrew, art expert and one of the driving forces behind the city’s ascent in the art world, outlines the recent past and paints the future of Hong Kong’s art scene, all while reflecting on his own experiences and the new buzz around Hong Kong’s endless possibilities.